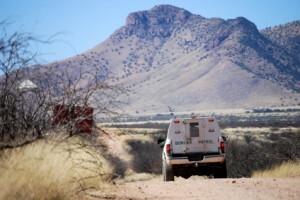 A Texas state trooper fired his weapon near a federal agent because of poor communication between the Border Patrol and Texas Department of Public Safety. Records obtained by CBS 4 News raise questions about the Department of Public Safety’s decision to increase its presence at the border, even though many troopers aren’t familiar with the area and don’t speak Spanish. On June 21, a game warden and Border Patrol agent were monitoring the Rio Grande when they said a trooper shot in their direction. “I was shot at by a trooper,” the Border Patrol agent said. Posted: 8/11/16 at 8:43 AM under News Story.